Product prices and availability are accurate as of 2019-04-17 08:52:45 UTC and are subject to change. Any price and availability information displayed on http://www.amazon.com/ at the time of purchase will apply to the purchase of this product. How do you make your barbecue easier and faster? Use our BBQ mats! 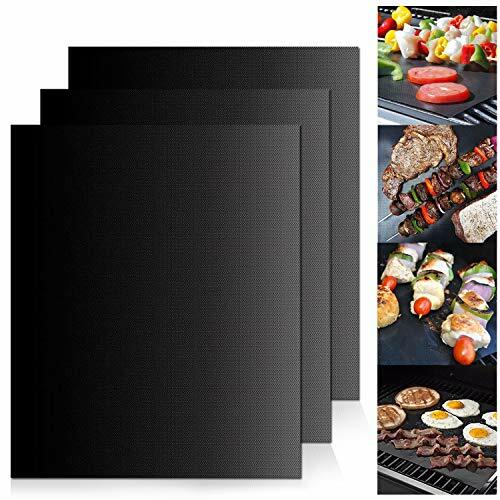 Our BBQ grill mats are 100% non-stick. Making your food tastier and much healthier, no needs for extra oils or butters ever again. Our BBQ grill mats are dishwasher safe and reusable. You can use them OVER and OVER AGAIN! No more ruined dinners and easy clean-up afterward! Our BBQ grill mats can be cutted into any shapes or sizes if you like! Each pack contains a set of three 15.75 x 13in cooking mats, which is about the size of a 15" Laptop. For larger grills (or meals), use multiple mats, side by side. Our BBQ grill mats can be placed on top of any grilling space (charcoal, gas, or electric) and can withhold temperature up to 500 FH! 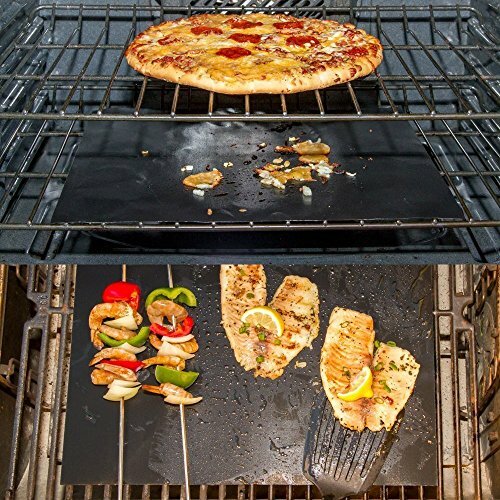 Our BBQ grill mats are perfect for chicken, wings, ribs, burgers, steaks, fish, shrimp, fruits, vegetables, breakfast, and even pizza! Do not use above 500FH. Do not use directly over open flame. Avoid use sharp metal objects which could scratch the mat. 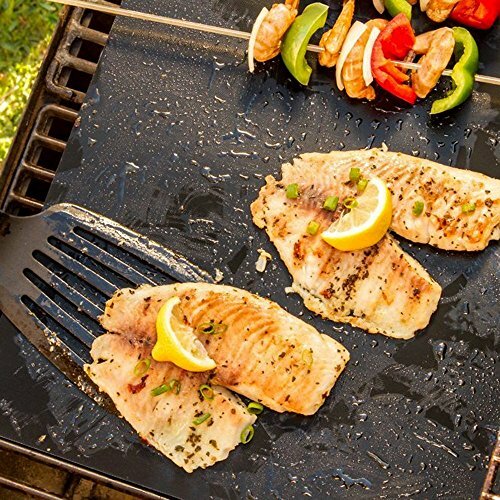 ❁Top Quality: Our top quality smooth and 100% non-stick surface can make your bbq tastier and healthier, you don't need to put butters and oil to keep your foods from sticking.Keep your grill looking brand-new and no more clean-up of your dirty grill! ❁ Easy to Clean: Just rinse with water and dish detergents. The grill mats are dishwasherable, we recommand you put it on the top shelf of your dishwasher. Say good bye to scrubbing grill grates every time you grill. Easier to use than a grill pan and more effective than aluminum foil that is easily break and stick on your food. 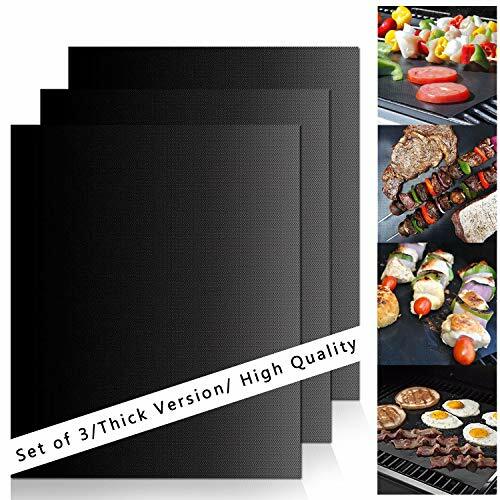 ❁ Safe to Use: Our BBQ grill mats are FDA approved, burn proof.These barbecue cooking mats are made of heat-resistant technologically advanced materials that it will not burn.These mats fire resistant up to 500 degrees Fahrenheit, and completely free from harmful chemicals. ❁ DIY Easily: You can cut our mats into any shape or size as you want. Each pack contains a set of three 15.75 x 13 in cooking mats. You can use multiple mats side by side for larger grills. 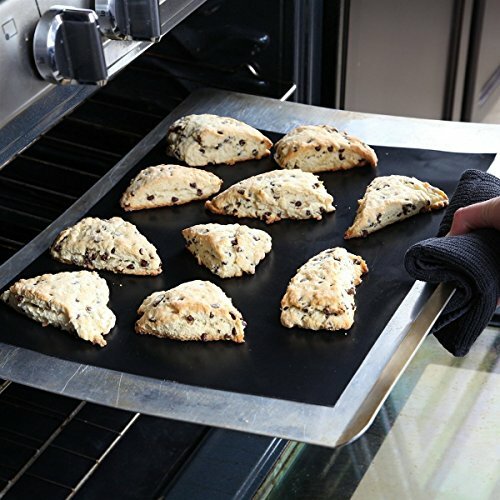 ❁ Easy to Use: Use them anytime anywhere you want, from out doors to home cooking. Use it while camping, or use it for cooking foods like pancakes, bacon, poptarts and more!Grill meat, vegetables, fish, shrimp, pizza, even pancakes, bacon and eggs!! Perfect for those nasty campground or park grills!These mats are doing promotions now!You can save more than 40% of the money .Buy it now ,you deserve it!Won't let you down!